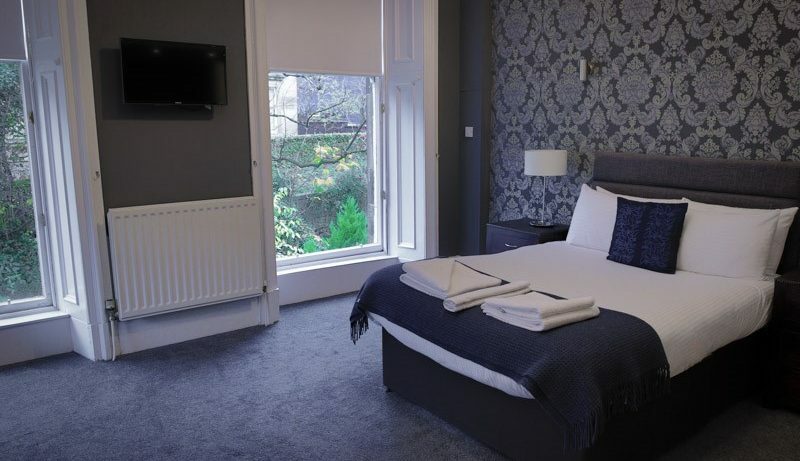 Our rooms span four floors of this newly refurbished Victorian town house. We merge grandeur with intimacy and are able to accommodate 27 guests in 13 rooms, allowing us to deliver a personal service to all who stay with us. 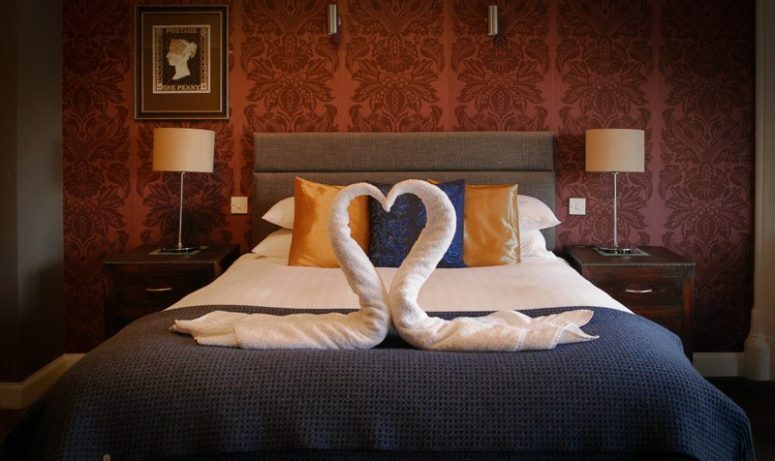 Our rooms vary, from spacious family rooms, to luxurious double and single rooms allowing you to relax in comfort. 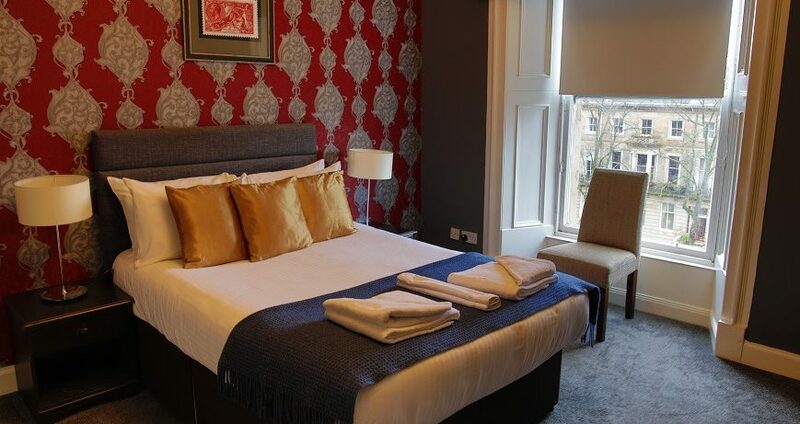 We offer both garden facing and street facing rooms, with a variety of double, king size and single beds. 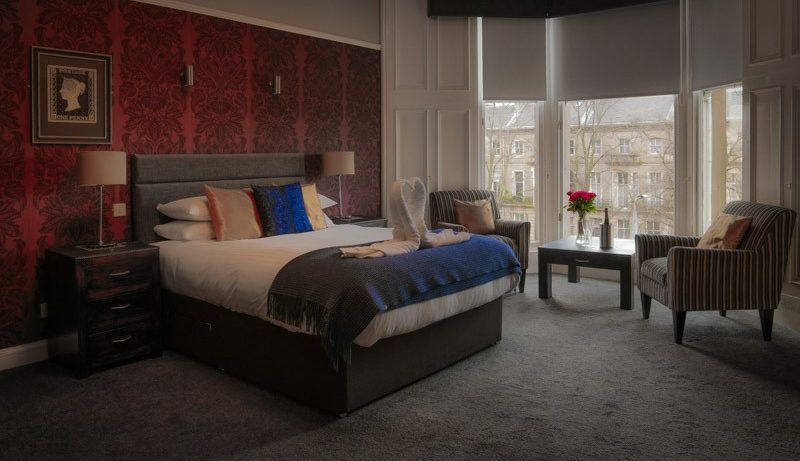 If you would prefer to request a room, please contact us after booking with your requirements (subject to availability). Please note there is NO LIFT in the hotel, please let us know if you require a lower ground room due to accessibility (subject to availability). Check in is from 3pm. Early check in may be available for an additional charge, please contact us for more information. Large garden facing room with one double bed and one single bed. Large TV and Shower en-suite. Wooden Flooring. Sleeps three adults (subject to surcharge) or two adults and one child. Carpeted, garden facing room with TV and a double shower en-suite. Large garden facing room with one double bed and one single bed. Large TV and Shower en-suite. Carpeted. Sleeps three adults (subject to surcharge) or two adults and one child. Street facing double room with bay window, large TV, carpets and shower en-suite. Street facing double room with carpets, TV, and shower en-suite. Carpeted, garden facing room with TV and a private bathroom located on the third floor. the bathroom consists of a BATH ONLY and can only be accessed by the guests staying in this room, it can be locked from the outside for privacy and security. Street facing double room with bay window, carpets, TV, and double shower en-suite. Side facing double room with carpets, TV and shower en-suite. Garden facing room with a TV, carpets and bath/shower en-suite. Street facing double room with carpets, bath/shower en-suite with views across the city. In the eaves of the building. Street facing double room with carpets, shower en-suite with a bay window and views across the city in the eaves of the building. Garden facing double room with carpets and shower en-suite. In the eaves of the building.